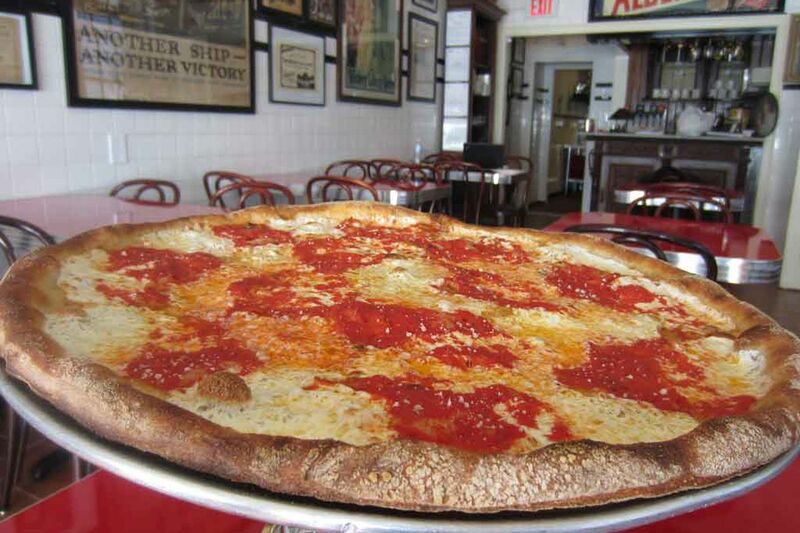 A pizza from Gennaro's in Philadelphia. Saturday is National Pizza Day, and one company is using the occasion as a chance to share the love. Slice, the online and mobile app that allows for ordering from more than 8,000 independent pizza shops around the country, is partnering with local nonprofit food bank Philabundance to feed those in need. For every order placed using Slice on Saturday’s “Pizza for Change” event, the New York-based company will donate $1.95 to Feeding America, a national nonprofit organization that supports food pantries, soup kitchens, shelters, and other community-based agencies. Each dollar helps provide at least 10 meals on behalf of member food banks, according to Feeding America. More than 200 pizza shops in Philadelphia are listed on Slice, which was founded in 2010 by the son of a Staten Island pizza-maker.